6 days from £755pp plus international flights. Have you ever dreamed of jetting off to a small tropical island, swapping your mobile ringtone for the whisper of the breeze in the trees? Then this holiday is JUST what you need! 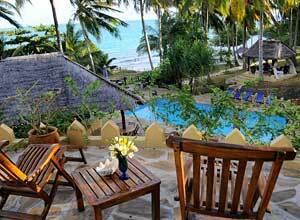 Zanzibar is the famous spice island, but if you want to get right away from the crowds there are other lesser known island and islets to choose from, offering small lodges and hotels with friendly, personal service. We've picked out 3 of our favourites just to give you a flavour of what you could be enjoying, but there are others to tempt you too, which you'll find shown under the Accommodation tab below. Fanjove Private Island is a tiny dot in the Indian Ocean. It's uninhabited apart from the staff and guests, so you'll have the island. 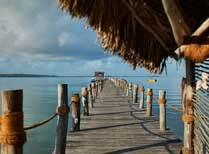 Go for nature walks, snorkel amongst tropical fish and take a cruise looking for dolphins. Slow down and enjoy the slower pace of life. On Mafia Island, Kinasi is a real 'barefoot luxury' destination. Larger than the tiny island above, Mafia is still only half the size of Zanzibar. Whichever you choose you'll have a wonderful time resting and exploring, making new friends and enjoying delicious freshly cooked food. You'll come away feeling thoroughly refreshed and re-energised. This is the start of your escape! Depending on your choice of island you'll arrive by plane or boat (not included; we will arrange this as required for you), to be greeted by smiling staff who you'll get to know well over the next week. Gaze out over the ocean as you realise this is your home for the next 5 wonderful days. 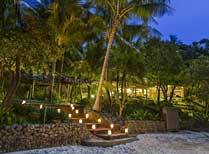 This evening the chef will treat you to some superb cuisine, perhaps including the freshest seafood, and later you'll sink into your bed, falling asleep to the sound of waves lapping the shore. Dinner. 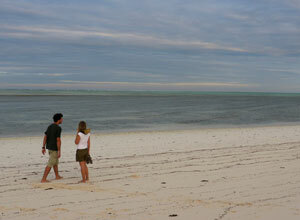 Should Fanjove be your destination, you'll find yourself on a classic deserted island. Armed with a map from the lodge, take a tour of your domain, following trails inland, walking along the beach, or take to the water in a kayak for a full circumnavigation! The lodge supplies diving and snorkelling equipment to let you observe shoals of fish, turtles and colourful corals, an entrancing underwater world. Take a boat cruise to spot bottle-nose and spinner dolphins, and with luck you'll be able to go swimming with these playful, intelligent creatures. Spending time among natural wonders is a real pleasure and privilege on Fanjove. Breakfast, lunch, dinner. Life on Mafia Island is unhurried. You can explore Mafia's beaches, lakes and forests, board a dhow for trips to neighbouring islands, or propel yourself in a kayak for some independent adventure, maybe stopping off to make friends in a village. You're welcome to spend lazy days, too, barely stirring from the lodge. Sunbathe, swim in the sea or pool, chat to other guests and de-stress with a soothing massage. As the sun goes down make your way to the bar to toast another day in paradise! Breakfast, lunch, dinner. We hope you're now feeling the benefits of island living, rest and relaxation, fresh food and good company. Today you'll be transferred out for the start of your homeward journey. Breakfast. Price notes: 2019 guide price pp sharing - FANJOVE ISLAND: From £1,595 to £1815. MAFIA ISLAND (Kinasi Lodge) £755. 5 nights twin share accommodation on fullboard basis; return transfers from and to the nearest airport. International flights and taxes; domestic flights; park fees; visa; meals not specified; drinks; optional excursions and activities; tips; items of a personal nature. 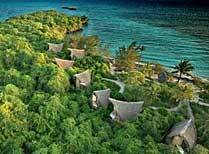 These islands are in Tanzania just south of Zanzibar. We recommend flights via either Nairobi or Dar es Salaam, which will cost from £700 per person depending on availability and season. We usually book flights for you. We are ATOL bonded. Departure dates: This is a private tailor made holiday that you can take any time you like, though we'd advise against the long rains season of April and May for most people. 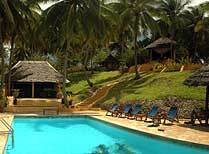 A relaxed little lodge on unspoilt Mafia Island, perfect for some gentle rest and relaxation. 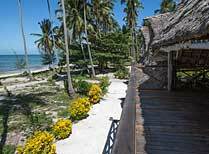 Your own exclusive island a short boat ride from Zanzibar, Chapwani offers the ultimate desert island getaway, total seclusion and relaxation. 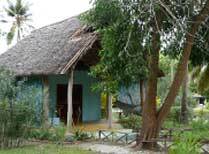 Chumbe Island Lodge's seven eco-bungalows are designed so that they provide both privacy and a sense of freedom of living in the open. 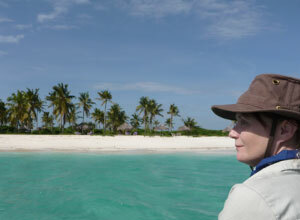 A tropical island with just 6 eco beach bandas - now THIS is remote and exciting! Kinasi Lodge provides a high standard of accommodation in separate cottages, each with a large verandah and en-suite bathroom. 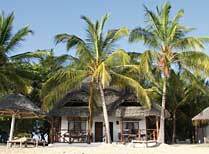 A small rustic lodge set on the edge of Chole Bay with fantastic food and thatched chalets. 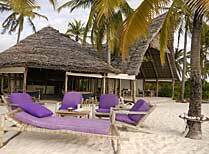 Lovely eco-friendly beach lodge on Mafia Island, Indian Ocean.